Echo Construction Services, Inc is well established, reputable company capable of assisting you through things as simple as oiling a squeaky hinge to a building addition. 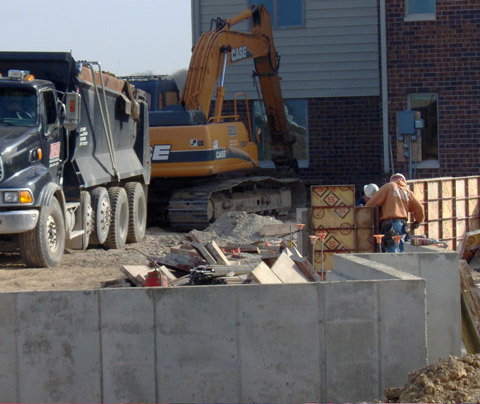 Our in-house crews specialize in concrete and masonry work. Most foremen have over 20 years of experience and are all very knowledgeable, courteous and efficient. Our experienced crews will arrive equipped for your project. Our equipment includes excavators, skid loaders, high lift forklifts, concrete breakers, power scaffolds and much more to promptly and efficiently serve you at the most economical cost. Though we specialize in Commercial Concrete and Masonry, we also do Traditional and Specialty Residential Concrete and Masonry work. For more detailed information about what we may be able to do for you please browse our website to view our portfolio of past and current Projects. You can also visit us on Facebook.com! Copyright © 2011 Dream Lake Design All rights reserved.